This project focuses on the pedagogical interactions that take place for two-year-olds in mixed-age early childhood education (ECE) settings that are traditionally oriented to ‘preschool’ (three- to fouryear- olds). Researchers will work with teachers to slow down and scrutinise their practice by videoing, analysing and theorising their dialogues with and about two year-olds as a central form of teaching and learning. The primary aim of the project is to make explicit the specialised practices now required of ECE teachers—who have traditionally worked with three- to four-year-olds—in their pedagogical dialogues with, and about, two-year-olds who are increasingly attending their services. The intention is to investigate the different interpretations that might be offered to understandings of ECE pedagogy when the dialogic efforts of teachers and two-year-olds are held up for scrutiny. The insights generated from this project will support teachers to re-vision their pedagogy in ways that are not only inclusive of the specialised needs of this younger age group but also support teachers to appreciate the unique contributions of two year-olds to the learning of older peers. The development of a video resource will make this information available to the ECE community at large. As such, the project will address residual gaps in New Zealand ECE research and practice by demonstrating how dialogues with and about two-year-olds can actively contribute to a deeper understanding of the ECE curriculum and, as a result, build more effective mixed-age learning contexts for learning for learners—regardless of their age. Due to a combination of falling preschool rolls and increased parental demand for two-year olds to attend ECE in tandem with the changing structure of delivery to reflect funding priorities, ECE settings are increasingly enrolling two-year-olds into their programmes. At the same time teachers are often poorly equipped to respond to the specific developmental and social needs of this age group due to a lack of preservice training in this area and limited access to professional development. This is particularly evident in mixed-age settings where two-year-olds are often located within ratios designed for older children. Coupled with limited access to professional training or practicum experiences for teachers working with this age group, there exists a gap in understanding concerning the specialised nature of pedagogy that is called for. The situation is magnified within ‘preschool’ contexts that are traditionally oriented to (i) older peers and (ii) single-age provision. It is anticipated that this research will generate important critical insights about the significance of learning and teaching dialogues that take place for two year-olds in this locale. In doing so, we postulate that teachers will be in a stronger position to articulate and enact pedagogically sound equitable practices for their youngest students as they interact with their peers in mixed-age settings. A 360-degree video camera will capture a view of the wider setting (the entire interactive space) in order to give access to the broader interactive context for two-year-old dialogues. Each camera will offer a different perspective on the same events and can be used to hone in on the individual two-year-olds as they move about the centre, while offering a wider view of the social and pedagogical context. These visual fields will be shared with teachers who will analyse and reflect their significance in terms of effective pedagogies for two-year-olds. Sharing insights based on fine-grained analysis of verbal and non-verbal dialogues and their significance for learning, teachers and researchers will develop a series of sound pedagogical principles for high quality engagement with two year-olds in mixed-age settings – considering what ‘works’ for effective learning to occur. Drawing on teacher reflections and video data, researcher will work with teachers to develop an online video resource that can be shared with other teachers in the field to improve the pedagogical experience for two-year-olds in ECE settings that traditionally cater for older children by making explicit the relationship between teacher interactions with and about two-year-olds and the significance of these for learning. 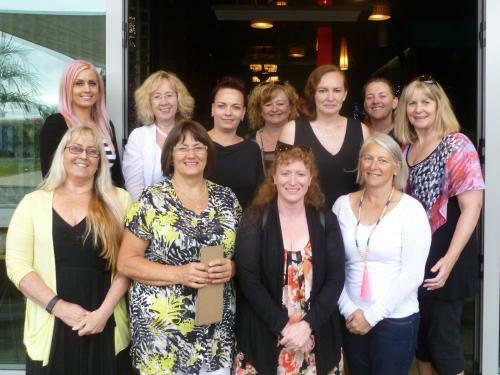 The University of Waikato has a long-standing relationship with the Tauranga Kindergarten Association in teacher education, teacher professional development and practitioner research. Gate Pa Preschool staff are also familiar with University of Waikato researchers – some having trained at the campus and attended seminars hosted on site. There is an off-campus site of the University based in Tauranga, where the Principal Investigator is also located. This project represents an opportunity to extend these local partnerships further and this is especially important given the building of a new campus in central Tauranga—scheduled to operate in 2019. There are important local avenues for teachers and researchers to collaborate as partners in an investigation that represents a mutual pedagogical urgency as well as interest to themselves and other ECE teachers who work with this younger age group—both nationally and internationally. Teaching for Equity: How do we do it? Stay informed about TLRI news.